This salad has a delicious mixture of flavors as well as colors and textures. It would make a lovely addition to any holiday menu. Drain the liquid from the canned mandarin oranges. Reserve for use in another recipe, or possible a it to thin and sweeten the dressing as desired. Mix the soy sauce, lime juice and maple syrup for the dressing. Season to taste with additional maple syrup or some of the mandarin orange liquid. Serve the salad layered in parfait glasses, or arranged on a bed of lettuce greens and with a spoonful of dressing drizzled over the top. A small carafe of dressing can be served at the table as well. 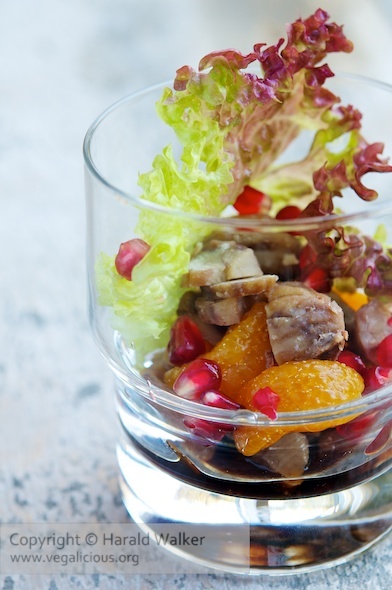 Garnish optionally with pomegranate seeds. If pomegranate seeds are not available, thin almond slices would also be pretty. 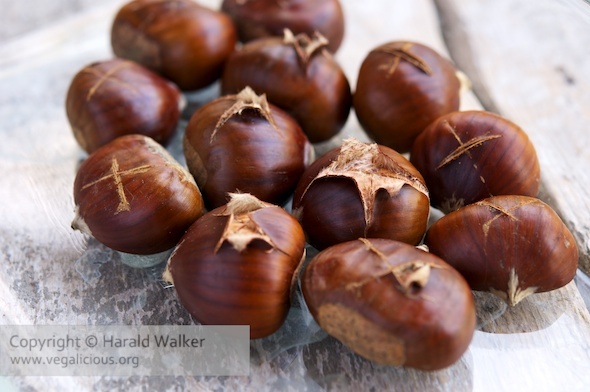 You can use canned or vacuum packed chestnuts, or fresh which would have to be baked first. 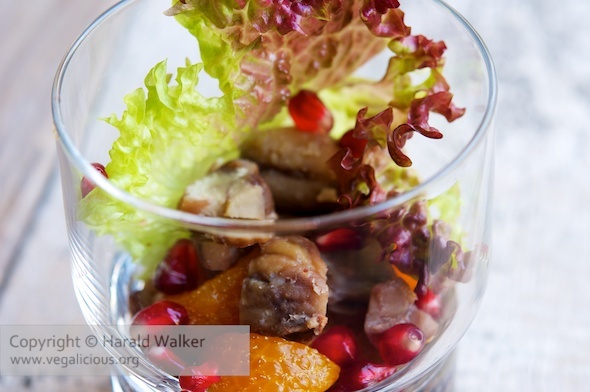 Posted by Chris Walker on November 21, 2011 in Chestnut, Mandarin orange, Pomegranate, Salads.